As you can see, it’s a Steamboat Willie inspired design by Eric Caszatt. 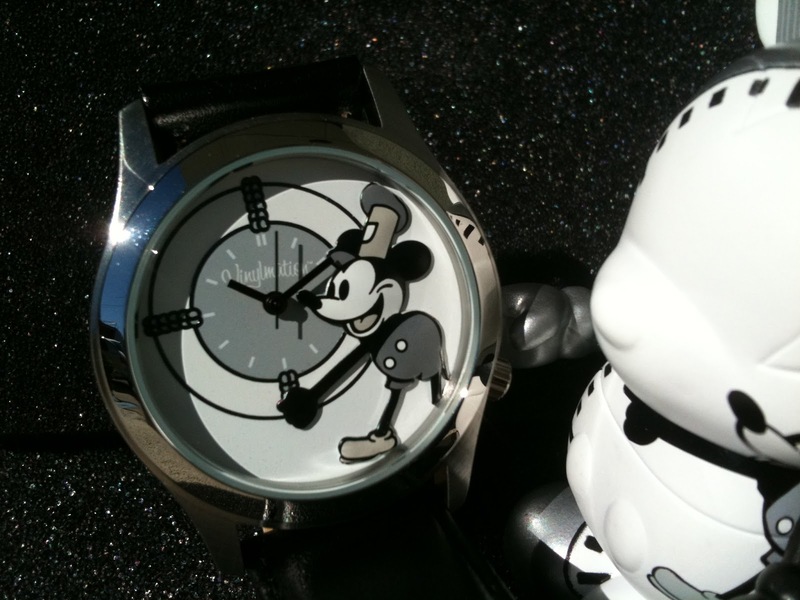 The watch face is wrapped around the 3″ Vinylmation with Mickey on the side and they use the Vinylmation arm as an extension of the drawn on Mickey. 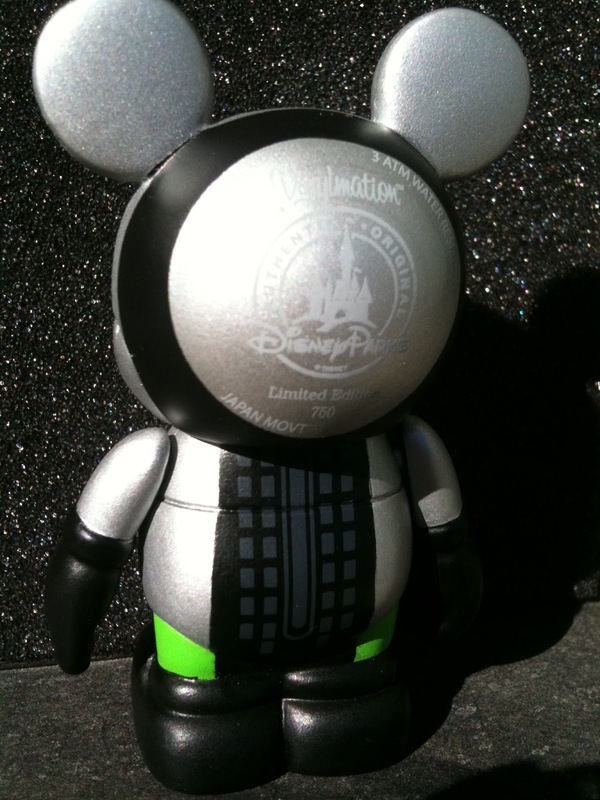 Back of the 3″ Park Watch figure. 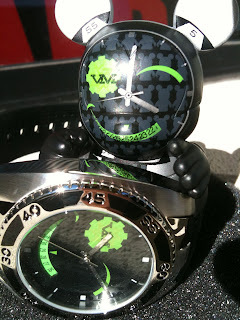 The watch seems of good construction with a comfortable leather wristband. 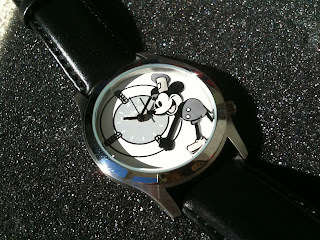 Also of note is the Mickey on the watch is raised off the background, not drawn on. The Urban Watch has a “face” like artistic design on the watch face. 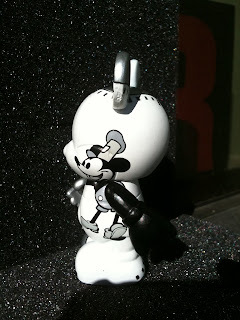 The 3″ figure just replicates the watch being strapped around it. The watch band is a sturdy rubber design. Here is the back of the 3″ Eric Caszatt designed figure, as expected, it replicates the back of the watch face. 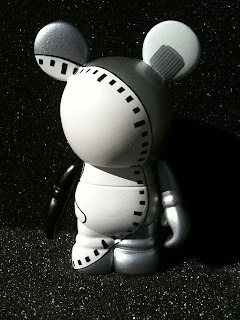 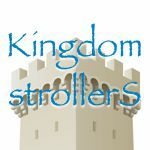 This is an exciting piece! 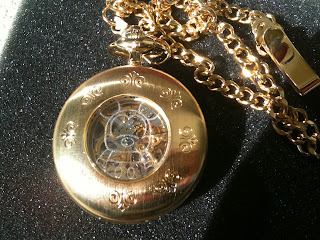 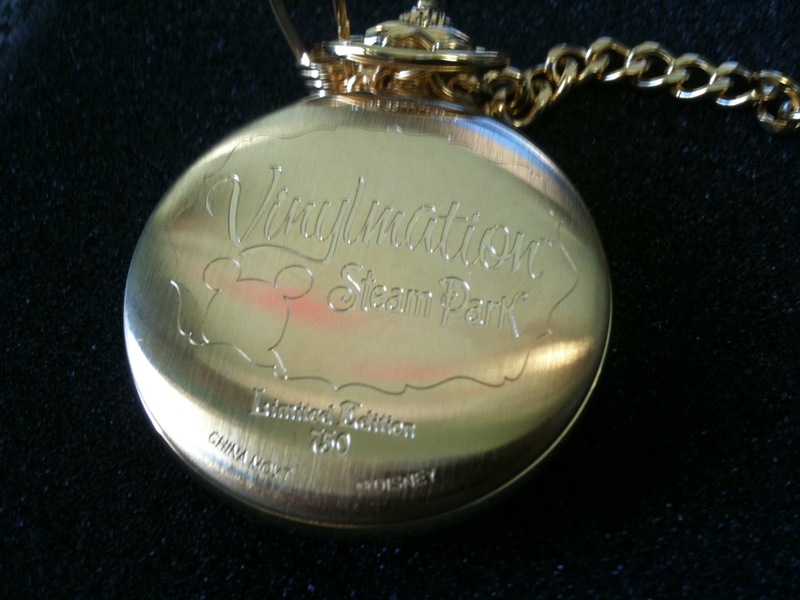 Look at the detail as they put a Vinylmation Mickey on the pocket watch lid. 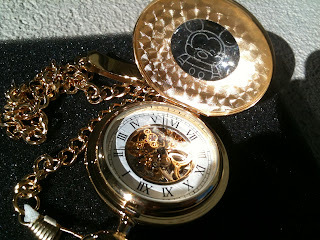 Take a look at the inside of the watch. You can see all the working gears in this mechanical time piece. 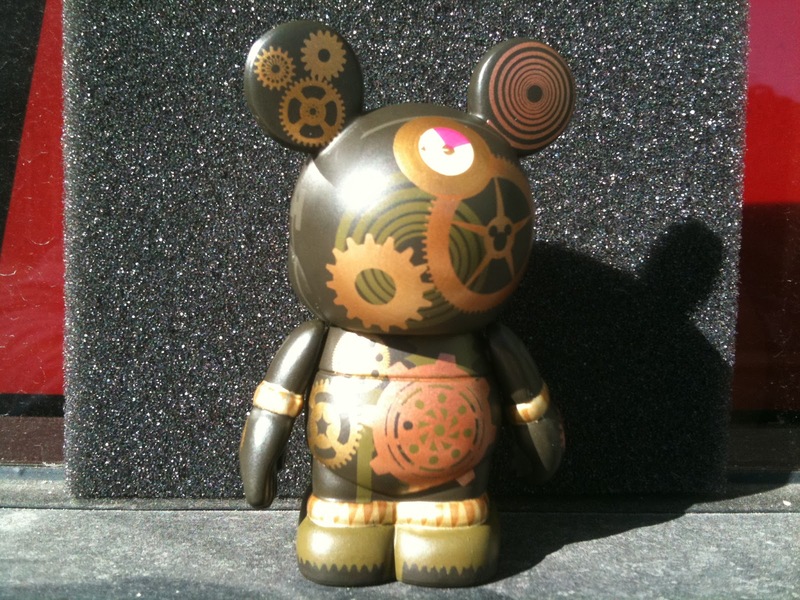 Designer Mike Sullivan did a wonderful job on this Steampunk figure. 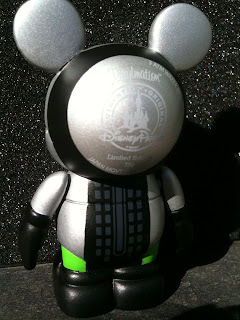 The back of the 3″ figure has a Hidden Mickey in the ear and a splash of color on one of the gears.